Punch Drunk DVDs: 'Blade Runner 2049', 'Happy Death Day', 'The Snowman', 'Loving Vincent', And More! 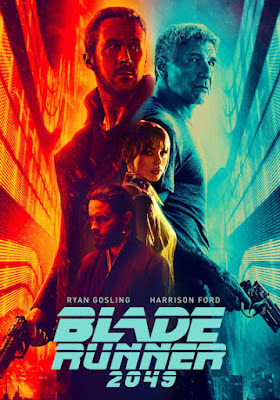 The long awaited sequel to the cerebral sci-fi masterpeice Blade Runner, the brilliant new thriller 2049 stars Ryan Gosling as Officer K, a new blade runner who accidentally uncovers an intensely protected secret that could further destory our already fractured distopian society. Seeking the answers only he would know, K goes on a quest to find Deckard (original star Harrison Ford), who’s been missing since the events of the original film. This new hit horror/comedy focuses on young, rich, and selfish sororotiy girl Tree, who finds herself inexplicably stuck in a time loop, repeating her birthday over and over again for no apparent reason. Further complicating matters, every version of the day ends with her being violently murdered by a masked killer. Stuck in time until she solves her own murder, Tree begins her hunt to stop whoever keeps killing her. Michael Fassbender stars as washed-up detective Harry Hole in this adaptation of the acclaimed detective series of the same name. begrudgenly on the case of the “Snowman Killer”, a mass-murderer who turns his corpses into snowmen and taunts Hole every step of the way, Harry becomes bound to stopping the madman and his own demons before time runs out. A beautiful new film about the mysteries surrounding the life and death of troubled painter Vincent Van Gough, Loving Vincent is comprised of beautifully hand painted frames of animation in style of the beloved artist.